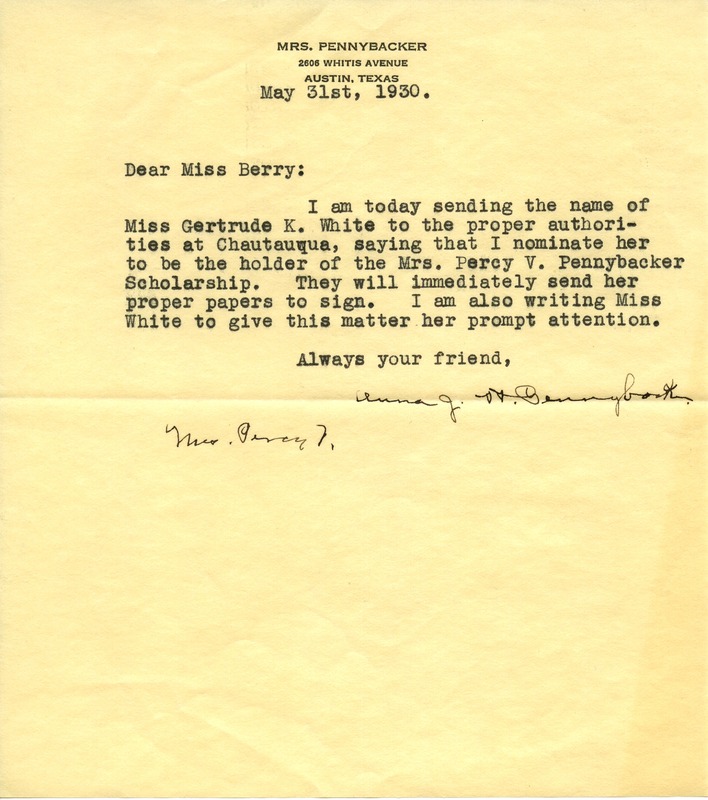 Mrs. Pennybacker writes to tell that Miss Gertrude K. White is who she nominates to hold the Mrs. Percy V. Pennybacker Scholarship. Mrs. Anna Pennybacker, “Letter to Martha Berry from Anna Pennybacker.” Martha Berry Digital Archive. Eds. Schlitz, Stephanie A., Jordan Brannen, Rachel Renaud, Chelsea Risley, et al. Mount Berry: Berry College, 2014. accessed April 21, 2019, https://mbda.berry.edu/items/show/13700.